Boston-based Steward Healthcare System terminated a psychiatrist for violating HIPAA Rules but must now prove to a jury that was the case. The psychiatrist claims he was fired in retaliation over taking extended disability leave, not for a HIPAA violation. Dr. Alexander Lipin contracted pneumonia and requested extended disability leave under the Family Medical Leave Act (FMLA). Extended leave was granted by Steward Healthcare System and Lipin was due to return to work on March 2, 2016. 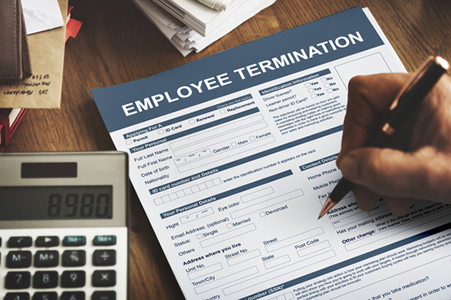 However, Lipin was fired on February 23 while still on disability leave over a HIPAA violation, which his attorney, Kavita M. Goyal, claims was used as an excuse for the termination. Steward Healthcare System alleged Lipin had violated HIPAA Rules by providing patients’ protected health information to law enforcement. According to Steward Medical Group President, George Clairmont, the decision had been taken to fire Lipin over the HIPAA violation before he took leave. Clairmont also stated Lipin was fired after it was discovered he was working for Anna Jaques Hospital while on leave. Lipin sued Steward Medical Group inc., Steward Healthcare System, and Holy Family Hospital over his dismissal. The case was removed to federal court in November 2016, and Steward Healthcare filed a motion for a summary judgement on the case. Massachusetts federal judge, Leo. T. Sorokin, ruled that the case should proceed to trial to establish the facts surrounding the dismissal. Steward Healthcare will now be required to convince a jury that the decision to fire the psychiatrist was based on the HIPAA violation and not the discovery that Lipin was working for another hospital while on disability leave. Clairmont maintains the decision to fire Lipin was made before he went on leave on January 26. The HIPAA violation was discovered on January 16 and the decision was taken to fire Lipin. Lipin was not fired immediately as advice was sought from the company’s legal department over the nature of the termination – whether it should be for cause, effective immediately, or without cause, in which case 90 days’ notice or pay in lieu of notice would be required. Lipin took leave and notified Steward Healthcare on February 5 that he would remain on leave until February 17, and on February 12 told Steward Healthcare that he would need to remain on leave until February 23. On February 20, leave was extended until March 2. On February 13, Steward Healthcare learned that Lipin was continuing to work for Anna Jaques Hospital in the mornings while on leave, and Lipin was terminated ten days later on February 23. An initial pre-trail conference has been scheduled for May 30, 2018.